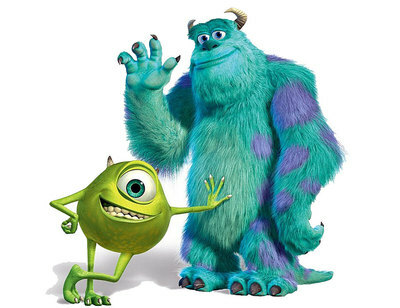 Monster Inc. is one of the cutest Pixar movies made with tons of characters from Boo to Sully. Which one is your favorite Monster Inc. character? I like Boo - very cute and curious! I've never thought about it before, but my favourite character is probably Mike. My favorite is Sulley. I love how he goes against Monstopolis's society norms to help save Boo. Sully, he's big and dependable and just a sweet teddy bear really! Mike is my favourite. Love his voice (Billy Crystal) which suits his character really well. One of the best kids movies! I love Mike, his so funny and entertaining. His voice (Billy Crystal) suits him so well and his such a loveable character. It's a tough one, but I'm going to go with Mike.